How does having your own king size bed when you travel sound to you? What about having several other residential features at your finger tips? 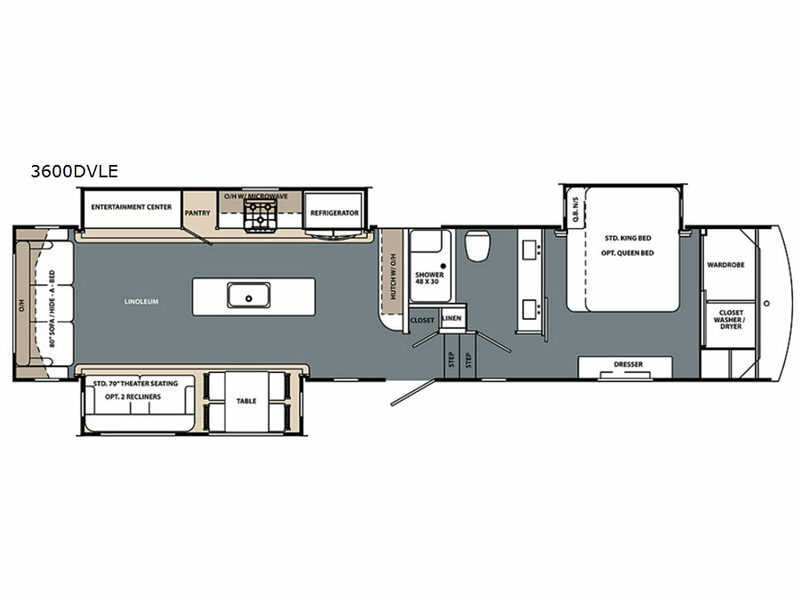 This Cardinal Limited model offers a rear living area with a hide-a-bed sofa allowing you to have overnight guests. You can relax in the theater seats or at the free standing dinette with chairs while enjoying the entertainment center. 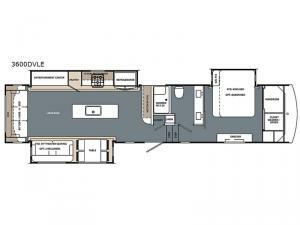 The cook will love the kitchen layout including the residential refrigerator, the microwave oven, and the hutch. You will surely appreciate having dual sinks in the bathroom when it's time to get ready for bed. There are many more feature to see and options to choose from such as adding a washer and dryer or recliners before leaving the dealership.